SSASS programs make snow sports accessible to everyone, regardless of their physical or cognitive challenges or age. Our methodology focuses on the student’s ability, not on their disability. SSASS programs are delivered by trained volunteers with CADS ( www.bcadaptive.com ) certifications. Some SSASS instructors are also CSIA ( www.snowpro.com) certified. Generally, clients will be taught and escorted by two instructors during a lesson, using an adaptive technique to modify ski teaching to take advantage of and build on the abilities of the client. We operate through the entire ski season with the majority of our programs delivered from early January through late March. SSASS services are free of charge. Please book in advance – at least 3 days’ notice is appreciated. Our students range in age from 5 to very experienced adults. Age and previous skiing experience are not barriers. Cognitive challenges such as Autism Spectrum Disorder, Down Syndrome, Learning Disabilities or the effects of brain injury. Physical challenges such as the effects of injuries or amputations, or conditions including cerebral palsy, muscular dystrophy and multiple sclerosis. Our students range in ability from those with a condition effecting the mobility of a single joint to near quadriplegic conditions. Hearing or visual impairment – from minor to total. Our instructors begin by assessing a student’s ability and areas of challenge. 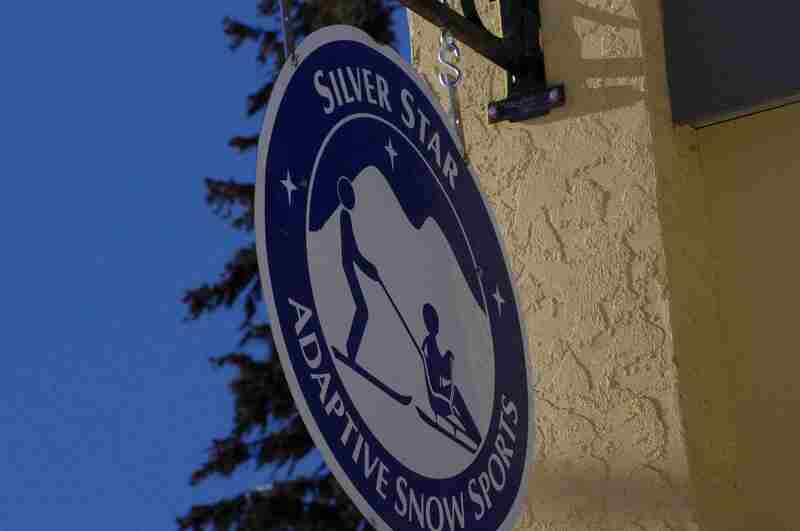 We have access to a wide range of adaptive equipment for both upright and sitski students. For upright skiers this equipment ranges from simple tools such as tethers to help skiers with speed control and direction changes through to poles and hoops to help with balance and outriggers, which look like crutches with short skis attached. For sitskiers we teach beginners through to budding racers. We have a variety of equipment to help students learn to ride a sitski including tethers and outriggers. For those with severe challenges we will “stagecoach” the skitski by steering it for the student so they can get out and enjoy the mountain. SSASS lessons are free of charge. SSASS exists thanks to the generosity of donations, which are tax-deductible. A number of fund-raising events are planned each year. So whether you are potentially a student, volunteer, donor or interested supporter, we thank you for visiting our site. Please look around to find out what we do and how you can be a part of the action.We operate at Silver Star Mountain Resort, near Vernon, British Columbia, Canada.